Twin Bridges Area is located on the northern end of Grand Lake, named for the two bridges of U.S. Highway 60 that travel over the arms of the lake which connect to the Neosho River and the Spring River. The area is known for its quiet atmosphere and trophy-sized bass, catfish, bluegill and paddlefish. A marina and fishing center provides everything an angler needs, such as bait, tackle, snacks, beverages, enclosed fishing dock and lighted boat ramps to both the lake and rivers. This is one of the best parks on the lake along with the Honey Creek Area of Grand Lake State Park. If you are looking for a place to camp and enjoy the outdoors, you will love the Twin Bridges Area. Twin Bridges has 60 RV sites and 100 tent sites. RV sites require reservations; tent sites are first come, first served. The park also have five one-room lake huts for rent with electricity, ceiling fans, heat and screened windows. Each hut has its own grill, table and water outside, and all are located near a comfort station and shower. 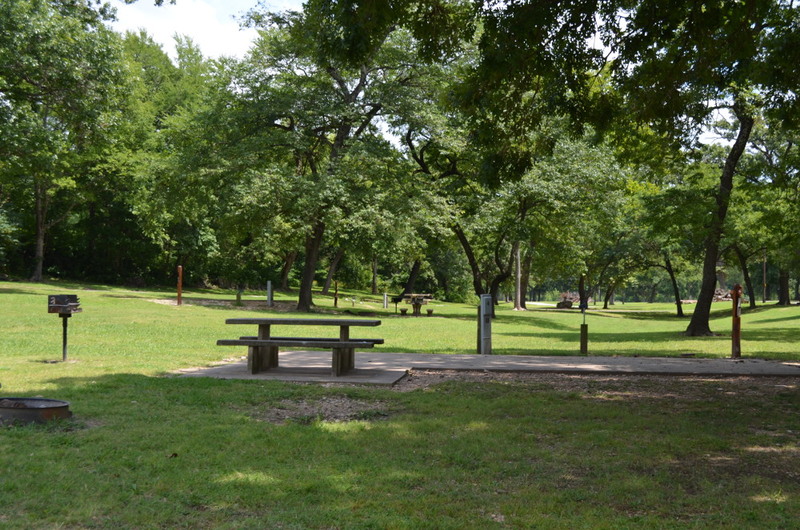 Other amenities include picnic areas, playgrounds, volleyball courts and horseshoe pits. You can book your campsite right here.